True gun accidents usually fall under one of two categories of cause: product defects or user error. Accidental gun shootings can severely injure or, in the worst cases, even kill someone. Tragically, hundreds of people are unnecessarily injured and even killed every year as a result of such cases. Determining the cause of the accident can help injured individuals and survivors obtain rightful compensation, but it can also help prevent future accidents such as these from happening again. If you or a loved one has been injured in a shooting accident, call Zinda Law Group at (800) 863-5312 for a 100% free case evaluation with our Texas firearm injury attorneys. When a firearm explodes at the firing range, the gun manufacturer is usually the one responsible. When a gun’s design, a manufacturing defect, or poorly constructed warnings or directions contribute to the shooting, the case will fall under product liability laws. Inadequate warnings. Manufacturers must include all relevant and knowable information to minimize foreseeable risks. Manufacturing defects. Manufacturers must accept responsibility for any incident that is unexpected and arises from a manufacturing defect. Design defects. If the manufacturer could have done an alternative design and avoided the incident in question, the manufacturer will be held responsible for any resulting injuries. A child discovering an unsecured, loaded firearm and accidentally shoots himself or herself or others. A teenager purposely accessing a parent’s gun storage and accidentally shoots himself or herself or others. A gun owner firing a bullet into the air, and the bullet eventually strikes a bystander. Hunters walking carelessly with a loaded weapon, accidentally discharging the weapon injuring or killing someone as a result. Attempting to shoot an animal but missing and instead hitting a person. Mistaking a person for an animal and accidentally shooting them. Accidental shootings are incredibly tragic events because they are highly preventable. In the aftermath of an accidental shooting, there are a couple steps you should consider taking. First would be to preserve the firearm for use further along in the process. Second would be to consider speaking with a personal injury attorney about your options. Cases such as these may help accidental shooting victims obtain a sense of justice and allow them to take their first steps on the road to recovery. Finding a firearm accident attorney who can help you determine what legal remedies you may be able to seek will begin with research. One of the best ways to find a shooting accident attorney is through internet research. While you may have friends and family who know a good criminal defense attorney or corporate lawyer, it may be harder to find someone who specializes in accidental shooting law. Most state bar associations have websites that allow you to search for a lawyer who specializes in a specific area. However, the results returned will only show you whether or not that attorney or those attorneys are still licensed to practice in the state you’re in, not whether they are a great lawyer or not. For information about the quality of a lawyer, you will want to seek out attorneys who have public reviews available. These reviews may tell you about the previous successes and losses of an attorney. If the attorney has a website, you may want to explore it a bit to determine whether the attorney seems like a good fit for you personally. Why Should I Hire a Shooting Injury Attorney? Accidental shooting injuries can occur for a variety of reasons. If a gun has been manufactured improperly, it runs the risk of going off without anyone pulling the trigger, even if the safety is on. Often, accidental gun shootings are caused by improper handling of the gun. This sometimes occurs when a child has access to a gun, when an adult has no training in gun safety, or if an adult has been drinking alcohol or is otherwise intoxicated. An attorney with substantial accidental shooting legal experience will likely be able to help you if any of the previously mentioned situations apply to your case, or even if your case is factually unique. Depending on the circumstances, a lawsuit can be brought against the gun owner, the person responsible for the shooting (if that is different from the gun owner), the location where the accidental shooting occurred, or the gun manufacturer. An experienced accidental shooting attorney may be able to help you determine who you should seek compensation from. After receiving medical attention, you will need to file a claim with your insurance company. Most insurance companies allow you to file a claim either online or over the phone, and will generally get in touch with you within 24 hours. When you speak to with the adjuster assigned to your claim, you should know what you need from them. Insurance companies base settlement offers on the victims’ damages. How much compensation do you require to get back to normal? This damages calculation can include medical bills, lost wages, expected future medical expenses, and pain and suffering. Knowing what you need is crucial for future negotiations. Next, you should gather any evidence that can make your claim stronger. You can ask your doctor to write a letter describing the nature and extent of the injury, as well as the plans for your future recovery. You should gather your medical bills, any witness statements, or even security camera footage. You could also ask your employer to verify in writing any lost income from missed days of work since your accident. Negotiating with insurance companies is often difficult. Insurance companies want to make money, and they do this by limiting payouts to claimants. For minor injuries, such as abrasions or sprained hands, your insurance will be more likely to cover your damages. However, most gun injuries are quite serious. When you are asking for a larger payout, you may need to negotiate for a higher settlement. After your insurance company has the details you provided when you filed your claim, a claims adjuster will contact you to ask you more questions. After this, you will be presented with an offer. If this number is too low based on your calculations, you are not required to take it. You can respond to your claims adjuster with a written request for a higher number. You should also provide your reasoning for requesting this amount. Include your doctor’s note, your employer’s verification of your lost wages, and any other evidence that highlights the seriousness of your injury. This negotiation process can last months. During this period, it is important you don’t say something to damage your claim. It is probably not a good idea to admit you were drinking, or that you didn’t know what you were doing. Instead, focus on your injury’s impact on your life. Do you have a family you can no longer take care of? Are you stuck in bed for the foreseeable future? Try to remain polite when working with your claims adjuster, as they could always refuse to work with you. If you feel as though your insurance company is unwilling to meet you halfway, it may be time to seek out professional help from a skilled accidental shooting lawyer. One of the biggest factors in determining the value of your claim is the extent of your damages. If the accident caused permanent disfigurement, than your claim will be worth more than if your injury is not as serious. If you are not sure how to measure the damages you sustained due to the shooting accident, think about contacting a personal injury attorney. A personal injury attorney may be able to assess your claim and help you calculate the amount you should recover. In any personal injury case, it is imperative to keep any and all receipts or documentation related to the accident. This will help prove the amount of damages you have sustained. Evidence of your injury as you progress towards recovery will also help provide context for the severity of the injury. If you can obtain any witness statements from the accident this will also help bolster your injury claim. If you were in public, there may be surveillance videos you could obtain that may also provide additional context to the accident. 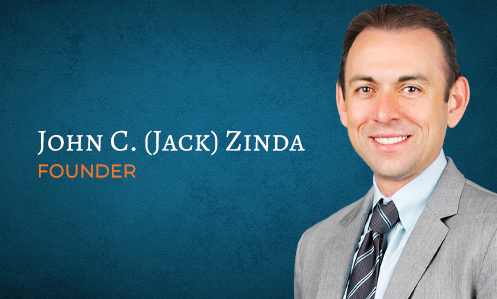 At Zinda Law Group, our attorneys have helped thousands of people deal with all kinds of injuries. We have the knowledge and resources necessary to help you seek maximum compensation for your damages resulting from firearm-related injuries. Our firm also believes that a personal injury victim should never have to worry about the ability to afford excellent legal representation. That is why we offer 100% free consultations, and why you will pay nothing unless we achieve a favorable settlement, judgment, or verdict for your accidental gun injury case. That’s our No Fee Guarantee. If you or your loved one has been injured in a shooting accident, call Zinda Law Group at (800) 863-5312 to receive your free consultation with our personal injury attorneys.